Am I a Discovery Health member on one of their comprehensive plans? Am I prepared to make the effort to get to Vitality diamond status? That’s it. Answer both with “yes” and you’re a match made in heaven. Don’t, and it can be the exact opposite. The cost and cover either stay the same or increase with a certain percentage every year. One thing is guaranteed – traditional life insurance never gets cheaper than it was right at the beginning. And that’s where the similarity between other life insurance and Discovery Life insurance ends. At Discovery Life, if you stick to the program, it becomes very cheap. If you don’t stick to the program, it gets very expensive. 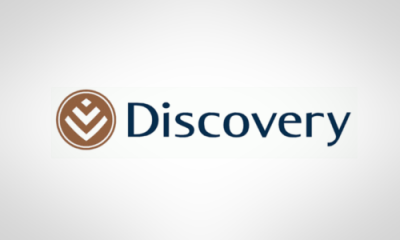 I guess the best terminology is that used by Discovery themselves – consumer-driven life assurance. Basically, you are placed in the driving seat when it comes to the cost and everything is based on integration. So how does all this work? I’ve already given the secret away above by mentioning integration. In this article, we look at the most important of those. to include the cover integrator amount within the actual cover amount you require. You can either add 40% onto the R1 million or you can include the 40% within the R1 million. But you need to be careful when making this decision since this 40% isn’t guaranteed and can shrink if you don’t live up to your end of the bargain. If you need R1 million to remain the same; say for instance, as security for a mortgage bond, then it’s best to add the 40% on top and not include it within the R1 million. Does that make sense? Getting back to the Discovery Life cover integration amount. You get to decide which one of two percentages you prefer – 20% or 40%. Health integration discount is based on your Vitality status and the Rand value of your health claims for the year. Don’t improve your Vitality status or claim heavily against the medical scheme, and your discounted cover reduces. Active integration discount is based on your Vitality Active status. Don’t improve your Vitality status and your discounted cover reduces. If you’re not a member of the Discovery Health medical scheme you don’t qualify for the Health integration option. And what happens if you don’t live up to your end of the bargain? On the 40% cover integration option, the minimum protected level is 16%. Of course, you also have the option to buy additional integrated cover equal to the amount of cover lost on every policy anniversary. I guess the biggest piece of advice we can offer is: Be careful from whom you buy your Discovery Life assurance. Discovery Life is a great product as long as you understand the implications of not living up to your end of the bargain. Am I the type of person willing to make the effort to get to Gold or Diamond status on Vitality? Remember that discount is given upfront, and you are the person who is either going to grow that discount or throw it away. Make certain you understand the product before signing on the dotted line!